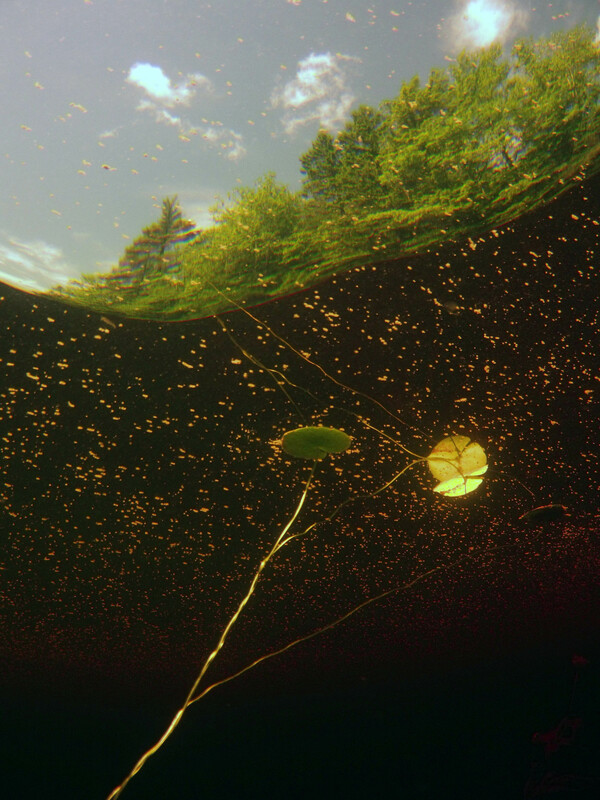 Could pollen in water at Dollar Lake be mistaken for a strange alien lifeform? | Full article (PDF) It seems there have not been a lot of studies on this topic. 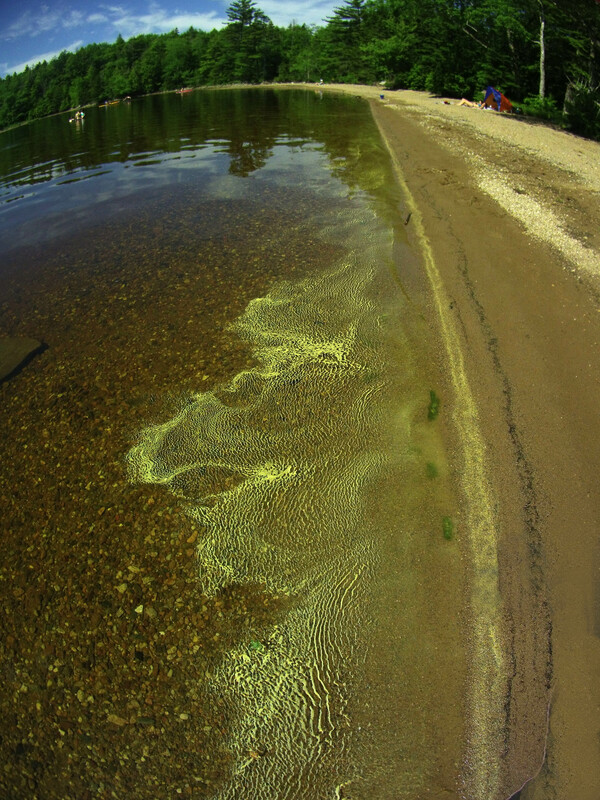 These authors concluded that inputs from pollen contribute significantly to nutrients and promote production in small boreal lakes. ‘Makes me wonder: what is the impact of clearcut forestry on such pollen inputs? 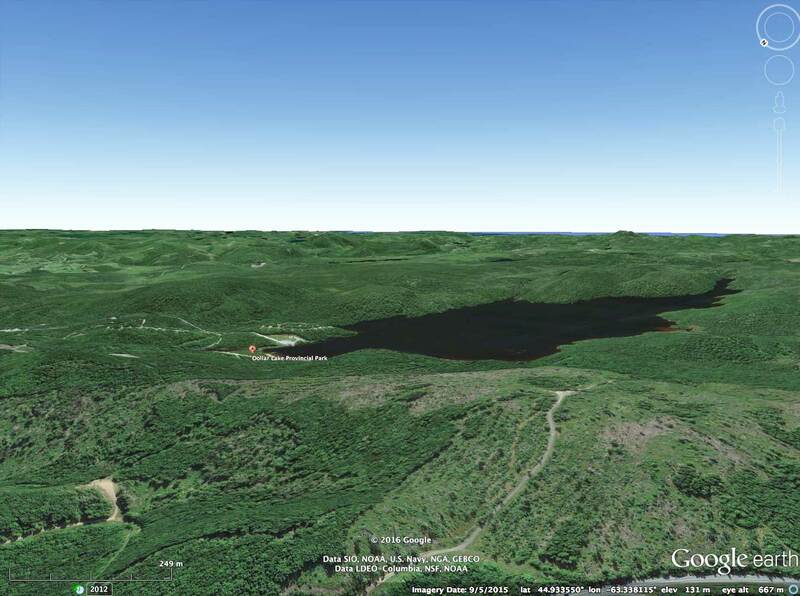 Dollar Lake has a lot of old growth forest bordering its shores in sharp contrast to the vast clearcut forests or remnants of them all along the Old Guysborough Road from the turnoff near the airport to Dollar Lake. 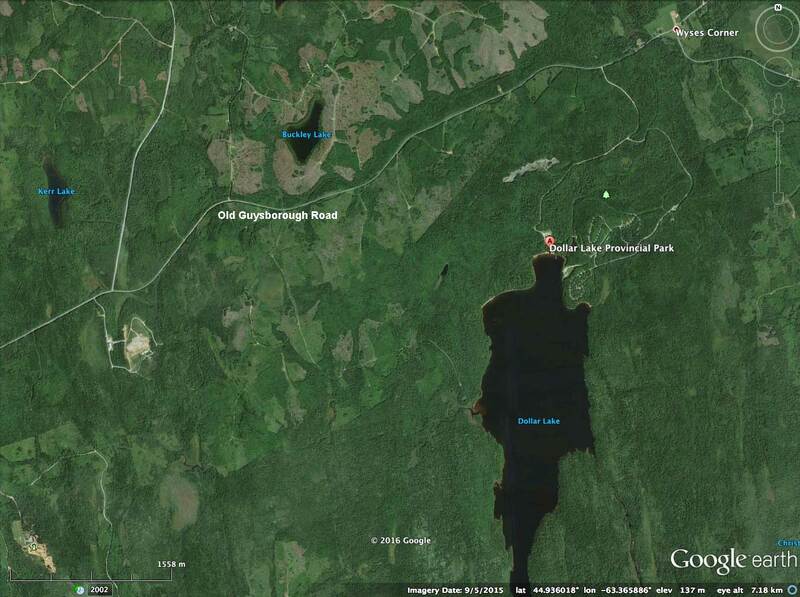 A couple of Google earth Images below illustrate the contrast. 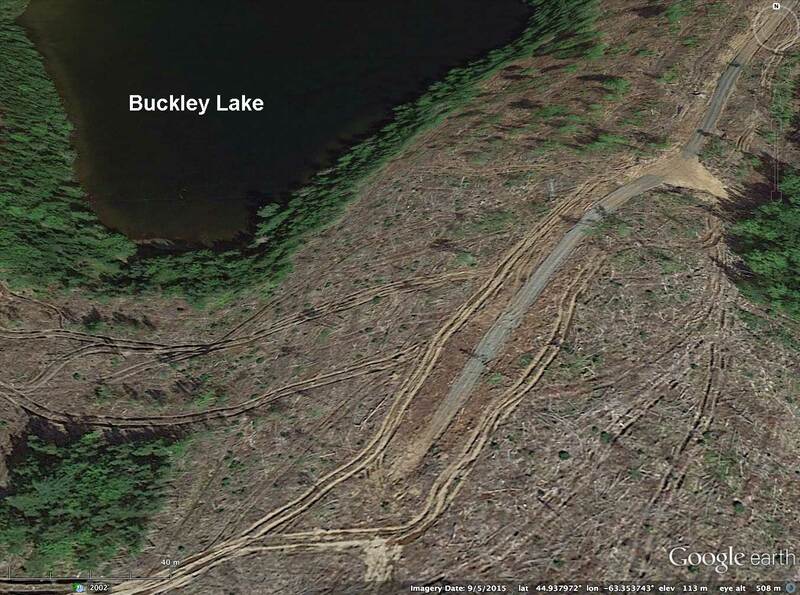 Across the road lies Buckley Lake, surrounded by clearcuts, all neatly done and according to regulation I’m sure, perhaps even a cut above. The minimum vegetated buffer around the lake is 28 m while regulations call for a minimum of only 20 m. But there is something very disquieting about the image. I think about the massive runoff on the slopes down to the lake that must occurs during heavy rains for example, the loss of habitat for wildlife, and accelerated loss of carbon and nutrients from soils.